Understanding Trustees | The Siegel Law Group, P.A. Revising Your Estate Plan After Divorce, The Siegel Law Group, P.A. The Advantages of a Trust Fund|The Siegel Law Group, P.A. Understanding Probate|The Siegel Law Group, P.A. Understanding Special Needs Trusts | The Siegel Law Group, P.A. Asset Protection Planning: What Does it Mean for You? | The Siegel Law Group, P.A. Buy-Sell Agreements for Business Planning | The Siegel Law Group, P.A. Medicaid and Veteran Benefit Planning | The Siegel Law Group, P.A. Take care of your pet with a pet trust | The Siegel Law Group, P.A. Holiday Estate Planning | The Siegel Law Group, P.A. Managing Your Digital Assets | The Siegel Law Group, P.A. Is Estate Planning a One Time Thing? 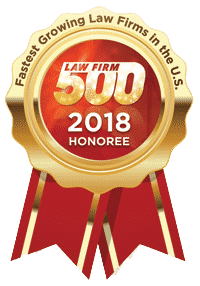 | The Siegel Law Group, P.A. Protect Your Family with a Plan | The Siegel Law Group P.A. Estate Planning – It’s easier than you think!